The director and producer of Final Fantasy XIII have expressed interest in making a sequel to the game, but admits the likelihood of that depends on sales. Direct sequels are a rarity in the Final Fantasy series and most of the games are standalone titles with little relation to their predecessors, or their successors for that matter. But occasionally there is a game that bucks the trend, like Final Fantasy X-2, and Yoshinori Kitase and Motomu Toriyama, producer and director of FFXIII, are interested in going there again. 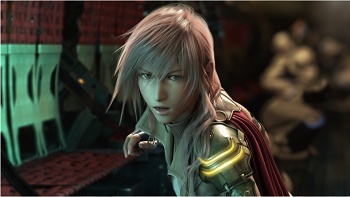 Speaking at a French launch event for FFXIII, Producer Yoshinori Kitase said: "In the past three years we worked both on the world and on the various systems. Creating these systems isn't very glamorous and can frankly be a bit boring. If we could do a XIII-2, we could direct all our attention to the story and refine what we have already built." The pair admits, however, that the possibility of a sequel depends on how the game sells in the West, and that a more typical follow-up - a Final Fantasy XV - is also not guaranteed. "We do not know if there will be a XV. This depends a lot on the success of XIII ... But if there is a XV, I hope the way we wrote our characters carries over. We strived to create believable people of flesh and blood. They are not robots. And they are not super heroes. I hope this humanity is something we will see again."